"CP/DOS" redirects here. For the similarly named Digital Research operating system, see CP/M. OS/2 Warp 4 desktop. This version was released on 25 September 1996. OS/2 is a series of computer operating systems, initially created by Microsoft and IBM under the leadership of IBM software designer Ed Iacobucci. As a result of a feud between the two companies over how to position OS/2 relative to Microsoft's new Windows 3.1 operating environment, the two companies severed the relationship in 1992 and OS/2 development fell to IBM exclusively. The name stands for "Operating System/2", because it was introduced as part of the same generation change release as IBM's "Personal System/2 (PS/2)" line of second-generation personal computers. The first version of OS/2 was released in December 1987 and newer versions were released until December 2001. OS/2 was intended as a protected-mode successor of PC DOS. Notably, basic system calls were modeled after MS-DOS calls; their names even started with "Dos" and it was possible to create "Family Mode" applications – text mode applications that could work on both systems. Because of this heritage, OS/2 shares similarities with Unix, Xenix, and Windows NT. IBM discontinued its support for OS/2 on 31 December 2006. Since then, it has been updated, maintained and marketed under the name eComStation. In 2015 it was announced that a new OEM distribution of OS/2 would be released that was to be called ArcaOS. ArcaOS is available for purchase. The development of OS/2 began when IBM and Microsoft signed the "Joint Development Agreement" in August 1985. It was code-named "CP/DOS" and it took two years for the first product to be delivered. OS/2 1.0 was announced in April 1987 and released in December. The original release is textmode-only, and a GUI was introduced with OS/2 1.1 about a year later. OS/2 features an API for controlling the video display (VIO) and handling keyboard and mouse events so that programmers writing for protected-mode need not call the BIOS or access hardware directly. Other development tools included a subset of the video and keyboard APIs as linkable libraries so that family mode programs are able to run under MS-DOS,, and, in the OS/2 Extended Edition v1.0, a database engine called Database Manager or DBM (this was related to DB2, and should not be confused with the DBM family of database engines for UNIX and UNIX-like operating systems). A task-switcher named Program Selector was available through the Ctrl-Esc hotkey combination, allowing the user to select among multitasked text-mode sessions (or screen groups; each can run multiple programs). Communications and database-oriented extensions were delivered in 1988, as part of OS/2 1.0 Extended Edition: SNA, X.25/APPC/LU 6.2, LAN Manager, Query Manager, SQL. The promised user interface, Presentation Manager, was introduced with OS/2 1.1 in October 1988. It had a similar user interface to Windows 2.1, which was released in May of that year. (The interface was replaced in versions 1.2 and 1.3 by a look closer in appearance to Windows 3.1). The Extended Edition of 1.1, sold only through IBM sales channels, introduced distributed database support to IBM database systems and SNA communications support to IBM mainframe networks. In 1989, Version 1.2 introduced Installable Filesystems and, notably, the HPFS filesystem. HPFS provided a number of improvements over the older FAT file system, including long filenames and a form of alternate data streams called Extended Attributes. In addition, extended attributes were also added to the FAT file system. The Extended Edition of 1.2 introduced TCP/IP and Ethernet support. OS/2- and Windows-related books of the late 1980s acknowledged the existence of both systems and promoted OS/2 as the system of the future. The collaboration between IBM and Microsoft unravelled in 1990, between the releases of Windows 3.0 and OS/2 1.3. During this time, Windows 3.0 became a tremendous success, selling millions of copies in its first year. Much of its success was because Windows 3.0 (along with MS-DOS) was bundled with most new computers. OS/2, on the other hand, was available only as an additional stand-alone software package. In addition, OS/2 lacked device drivers for many common devices such as printers, particularly non-IBM hardware. Windows, on the other hand, supported a much larger variety of hardware. The increasing popularity of Windows prompted Microsoft to shift its development focus from cooperating on OS/2 with IBM to building its own business based on Windows. Several technical and practical reasons contributed to this breakup. The two companies had significant differences in culture and vision. Microsoft favored the open hardware system approach that contributed to its success on the PC; IBM sought to use OS/2 to drive sales of its own hardware, including systems that could not support the features Microsoft wanted. Microsoft programmers also became frustrated with IBM's bureaucracy and its use of lines of code to measure programmer productivity. IBM developers complained about the terseness and lack of comments in Microsoft's code, while Microsoft developers complained that IBM's code was bloated. The two products have significant differences in API. OS/2 was announced when Windows 2.0 was near completion, and the Windows API already defined. However, IBM requested that this API be significantly changed for OS/2. Therefore, issues surrounding application compatibility appeared immediately. OS/2 designers hoped for source code conversion tools, allowing complete migration of Windows application source code to OS/2 at some point. However, OS/2 1.x did not gain enough momentum to allow vendors to avoid developing for both OS/2 and Windows in parallel. OS/2 1.x targets the Intel 80286 processor and DOS fundamentally doesn't. IBM insisted on supporting the 80286 processor, with its 16-bit segmented memory mode, because of commitments made to customers who had purchased many 80286-based PS/2s as a result of IBM's promises surrounding OS/2. Until release 2.0 in April 1992, OS/2 ran in 16-bit protected mode and therefore could not benefit from the Intel 80386's much simpler 32-bit flat memory model and virtual 8086 mode features. This was especially painful in providing support for DOS applications. While, in 1988, Windows/386 2.1 could run several cooperatively multitasked DOS applications, including expanded memory (EMS) emulation, OS/2 1.3, released in 1991, was still limited to one 640 kB "DOS box". Given these issues, Microsoft started to work in parallel on a version of Windows which was more future-oriented and more portable. The hiring of Dave Cutler, former VMS architect, in 1988 created an immediate competition with the OS/2 team, as Cutler did not think much of the OS/2 technology and wanted to build on his work at Digital rather than creating a "DOS plus". His "NT OS/2" was a completely new architecture. IBM grew concerned about the delays in development of OS/2 2.0. Initially, the companies agreed that IBM would take over maintenance of OS/2 1.0 and development of OS/2 2.0, while Microsoft would continue development of OS/2 3.0. In the end, Microsoft decided to recast NT OS/2 3.0 as Windows NT, leaving all future OS/2 development to IBM. From a business perspective, it was logical to concentrate on a consumer line of operating systems based on DOS and Windows, and to prepare a new high-end system in such a way as to keep good compatibility with existing Windows applications. While it waited for this new high-end system to develop, Microsoft would still receive licensing money from Xenix and OS/2 sales. Windows NT's OS/2 heritage can be seen in its initial support for the HPFS filesystem, text mode OS/2 1.x applications, and OS/2 LAN Manager network support. Some early NT materials even included OS/2 copyright notices embedded in the software. One example of NT OS/2 1.x support is in the WIN2K resource kit. Windows NT could also support OS/2 1.x Presentation Manager and AVIO applications with the addition of the Windows NT Add-On Subsystem for Presentation Manager. OS/2 2.0 was released in April 1992. It provided a 32-bit API for native programs, though the OS itself still contained some 16-bit code and drivers. It also included a new OOUI (object-oriented user interface) called the Workplace Shell. This was a fully object-oriented interface that was a significant departure from the previous GUI. Rather than merely providing an environment for program windows (such as the Program Manager), the Workplace Shell provided an environment in which the user could manage programs, files and devices by manipulating objects on the screen. With the Workplace Shell, everything in the system is an "object" to be manipulated. OS/2 2.0 was touted by IBM as "a better DOS than DOS and a better Windows than Windows". It managed this by including fully licensed MS-DOS 5.0 which had been patched and improved upon. For the first time, OS/2 was able to run more than one DOS application at a time. This was so effective that it allowed OS/2 to run a modified copy of Windows 3.0, itself a DOS extender, including Windows 3.0 applications. Because of the limitations of the Intel 80286 processor, OS/2 1.x could run only one DOS program at a time, and did this in a way that allowed the DOS program to have total control over the computer. A problem in DOS mode could crash the entire computer. In contrast, OS/2 2.0 could leverage the virtual 8086 mode of the Intel 80386 processor to create a much safer virtual machine in which to run DOS programs. This included an extensive set of configuration options to optimize the performance and capabilities given to each DOS program. Any real-mode operating system (such as 8086 Xenix) could also be made to run using OS/2's virtual machine capabilities, subject to certain direct hardware access limitations. Unlike Windows NT, OS/2 always allowed DOS programs the possibility of masking real hardware interrupts, so any DOS program could deadlock the machine in this way. OS/2 could, however, use a hardware watchdog on selected machines (notably IBM machines) to break out of such a deadlock. Later, release 3.0 leveraged the enhancements of newer Intel 80486 and Intel Pentium processors—the Virtual Interrupt Flag (VIF), which was part of the Virtual Mode Extensions (VME)—to solve this problem. Compatibility with Windows 3.0 (and later Windows 3.1) was achieved by adapting Windows user-mode code components to run inside a virtual DOS machine (VDM). Originally, a nearly complete version of Windows code was included with OS/2 itself: Windows 3.0 in OS/2 2.0, and Windows 3.1 in OS/2 2.1. Later, IBM developed versions of OS/2 that would use whatever Windows version the user had installed previously, patching it on the fly, and sparing the cost of an additional Windows license. It could either run full-screen, using its own set of video drivers, or "seamlessly," where Windows programs would appear directly on the OS/2 desktop. The process containing Windows was given fairly extensive access to hardware, especially video, and the result was that switching between a full-screen WinOS/2 session and the Workplace Shell could occasionally cause issues. Because OS/2 only runs the user-mode system components of Windows, it is incompatible with Windows device drivers (VxDs) and applications that require them. Multiple Windows applications run by default in a single Windows session – multitasking cooperatively and without memory protection – just as they would under native Windows 3.x. However, to achieve true isolation between Windows 3.x programs, OS/2 can also run multiple copies of Windows in parallel, with each copy residing in a separate VDM. The user can then optionally place each program either in its own Windows session – with preemptive multitasking and full memory protection between sessions, though not within them – or allow some applications to run together cooperatively in a shared Windows session while isolating other applications in one or more separate Windows sessions. At the cost of additional hardware resources, this approach can protect each program in any given Windows session (and each instance of Windows itself) from every other program running in any separate Windows session (though not from other programs running in the same Windows session). Whether Windows applications are running in full-screen or windowed mode, and in one Windows session or several, it is possible to use DDE between OS/2 and Windows applications, and OLE between Windows applications only. OS/2 Warp offers a host of benefits over OS/2 2.1, notably broader hardware support, greater multimedia capabilities, Internet-compatible networking, and it includes a basic office application suite known as IBM Works. It was released in two versions: the less expensive "Red Spine" and the more expensive "Blue Spine" (named for the color of their boxes). "Red Spine" was designed to support Microsoft Windows applications by utilizing any existing installation of Windows on the computer's hard drive. "Blue Spine" includes Windows support in its own installation, and so can support Windows applications without a Windows installation. As most computers were sold with Microsoft Windows pre-installed and the price was less, "Red Spine" was the more popular product. OS/2 Warp Connect—which has full LAN client support built-in—followed in mid-1995. Warp Connect was nicknamed "Grape". In OS/2 2.0, most performance-sensitive subsystems, including the graphics (Gre) and multimedia (MMPM/2) systems, were updated to 32-bit code in a fixpack, and included as part of OS/2 2.1. Warp 3 brought about a fully 32-bit windowing system, while Warp 4 introduced the object-oriented 32-bit GRADD display driver model. In 1996, Warp 4 added Java and speech recognition software. IBM also released server editions of Warp 3 and Warp 4 which bundled IBM's LAN Server product directly into the operating system installation. A personal version of Lotus Notes was also included, with a number of template databases for contact management, brainstorming, and so forth. The UK-distributed free demo CD-ROM of OS/2 Warp essentially contained the entire OS and was easily, even accidentally, cracked[clarification needed], meaning that even people who liked it did not have to buy it. This was seen as a backdoor tactic to increase the number of OS/2 users, in the belief that this would increase sales and demand for third-party applications, and thus strengthen OS/2's desktop numbers. This suggestion was bolstered by the fact that this demo version had replaced another which was not so easily cracked, but which had been released with trial versions of various applications. In 2000, the July edition of Australian Personal Computer magazine bundled software CD-ROMs, included a full version of Warp 4 that required no activation and was essentially a free release. Special versions of OS/2 2.11 and Warp 4 also included symmetric multiprocessing (SMP) support. OS/2 sales were largely concentrated in networked computing used by corporate professionals; however, by the early 1990s, it was overtaken by Microsoft Windows NT. While OS/2 was arguably technically superior to Microsoft Windows 95, OS/2 failed to develop much penetration in the consumer and stand-alone desktop PC segments; there were reports that it could not be installed properly on IBM's own Aptiva series of home PCs. Microsoft made an offer in 1994 where IBM would receive the same terms as Compaq (the largest PC manufacturer at the time) for a license of Windows 95, if IBM ended development of OS/2 completely. IBM refused and instead went with an "IBM First" strategy of promoting OS/2 Warp and disparaging Windows, as IBM aimed to drive sales of its own software as well as hardware. By 1995, Windows 95 negotiations between IBM and Microsoft, which were already difficult, stalled when IBM purchased Lotus SmartSuite, which would have directly competed with Microsoft Office. As a result of the dispute, IBM signed the license agreement 15 minutes before Microsoft's Windows 95 launch event, which was later than their competitors and this badly hurt sales of IBM PCs. IBM officials later conceded that OS/2 would not have been a viable operating system to keep them in the PC business. In 1991 IBM started development on an intended replacement for OS/2 called Workplace OS. This was an entirely new product, brand new code, that borrowed only a few sections of code from both the existing OS/2 and AIX products. It used an entirely new microkernel code base, intended (eventually) to host several of IBM's operating systems (including OS/2) as microkernel "personalities". It also included major new architectural features including a system registry, JFS, support for UNIX graphics libraries, and a new driver model. Workplace OS was developed solely for POWER platforms, and IBM intended to market a full line of PowerPCs in an effort to take over the market from Intel. A mission was formed to create prototypes of these machines and they were disclosed to several Corporate customers, all of whom raised issues with the idea of dropping Intel. Advanced plans for the new code base would eventually include replacement of the OS/400 operating system by Workplace OS, as well as a microkernel product that would have been used in industries such as telecommunications and set-top television receivers. A partially functional pre-alpha version of Workplace OS was demonstrated at Comdex, where a bemused Bill Gates stopped by the booth. The second and last time it would be shown in public was at an OS/2 user group in Phoenix, Arizona; the pre-alpha code refused to boot. It was released in 1995. But with $990 million being spent per year on development of this as well as Workplace OS, and no possible profit or widespread adoption, the end of the entire Workplace OS and OS/2 product line was near. A project was launched internally by IBM to evaluate the looming competitive situation with Microsoft Windows 95. Primary concerns included the major code quality issues in the existing OS/2 product (resulting in over 20 service packs, each requiring more diskettes than the original installation), and the ineffective and heavily matrixed development organization in Boca Raton (where the consultants reported that "basically, everybody reports to everybody") and Austin. That study, tightly classified as "Registered Confidential" and printed only in numbered copies, identified untenable weaknesses and failures across the board in the Personal Systems Division as well as across IBM as a whole. This resulted in a decision being made at a level above the Division to cut over 95% of the overall budget for the entire product line, end all new development (including Workplace OS), eliminate the Boca Raton development lab, end all sales and marketing efforts of the product, and lay off over 1,300 development individuals (as well as sales and support personnel). $990 million had been spent in the last full year. Warp 4 became the last distributed version of OS/2. A small and dedicated community remained faithful to OS/2 for many years after its final mainstream release, but overall, OS/2 failed to catch on in the mass market and is little used outside certain niches where IBM traditionally had a stronghold. For example, many bank installations, especially automated teller machines, run OS/2 with a customized user interface; French SNCF national railways used OS/2 1.x in thousands of ticket selling machines. Telecom companies such as Nortel use OS/2 in some voicemail systems. Also, OS/2 was used for the host PC used to control the Satellite Operations Support System equipment installed at NPR member stations from 1994 to 2007, and used to receive the network's programming via satellite. Although IBM began indicating shortly after the release of Warp 4 that OS/2 would eventually be withdrawn, the company did not end support until December 31, 2006. Sales of OS/2 stopped on December 23, 2005. The latest IBM version is 4.52, which was released for both desktop and server systems in December 2001. Serenity Systems has been reselling OS/2 since 2001, calling it eComStation. Version 1.2 was released in 2004. After a series of preliminary "release candidates," version 2.0 GA (General Availability) was released on 15 May 2010. eComStation version 2.1 GA was released on May 20, 2011. IBM is still delivering defect support for a fee. IBM urges customers to migrate their often highly complex applications to e-business technologies such as Java in a platform-neutral manner. Once application migration is completed, IBM recommends migration to a different operating system, suggesting Linux as an alternative. As of 2008[update], support for running OS/2 under virtualization appears to be improving in several third-party products. OS/2 has historically been more difficult to run in a virtual machine than most other legacy x86 operating systems because of its extensive reliance on the full set of features of the x86 CPU; in particular, OS/2's use of ring 2 prevented it from running in VMware. Emulators such as QEMU and Bochs don't suffer from this problem and can run OS/2. A beta of VMware Workstation 2.0 released in January 2000 was the first hypervisor that could run OS/2 at all. Later, the company decided to drop official OS/2 support. VirtualPC from Microsoft (originally Connectix) has been able to run OS/2 without hardware virtualization support for many years. It also provided "additions" code which greatly improves host–guest OS interactions in OS/2. The additions are not provided with the current version of VirtualPC, but the version last included with a release may still be used with current releases. At one point, OS/2 was a supported host for VirtualPC in addition to a guest. Note that OS/2 runs only as a guest on those versions of VirtualPC that use virtualization (x86 based hosts) and not those doing full emulation (VirtualPC for Mac). VirtualBox from Oracle Corporation (originally InnoTek, later Sun) supports OS/2 Warp 3, 4 and 4.5 as well as eComStation as guests. However, attempting to run OS/2 and eComStation can still be difficult, if not impossible, because of the strict requirements of VT-x/AMD-V hardware-enabled virtualization and only ACP2/MCP2 is reported to work in a reliable manner. The difficulties in efficiently running OS/2 have, at least once, created an opportunity for a new virtualization company. A large bank in Moscow needed a way to use OS/2 on newer hardware that OS/2 did not support. As virtualization software is an easy way around this, the company desired to run OS/2 under a hypervisor. Once it was determined that VMware was not a possibility, it hired a group of Russian software developers to write a host-based hypervisor that would officially support OS/2. Thus, the Parallels, Inc. company and their Parallels Workstation product was born. ATM vendors NCR Corporation and Diebold Incorporated have both adopted Windows XP as their migration path from OS/2. Diebold Incorporated initially shipped XP Embedded Edition exclusively, but following extensive pressure from customer banks to support a common OS, switched to XP Professional to match their primary competitor NCR Corporation. OS/2 has few native computer viruses; while it is not invulnerable by design, its reduced market share appears to have discouraged virus writers. There are, however, OS/2-based antivirus programs, dealing with DOS viruses and Windows viruses that could pass through an OS/2 server. Many people hoped that IBM would release OS/2 or a significant part of it as open source. Petitions were held in 2005 and 2007, but IBM refused them, citing legal and technical reasons. It is unlikely that the entire OS will be open at any point in the future because it contains third-party code to which IBM does not have copyright, and much of this code is from Microsoft. IBM also once engaged in a technology transfer with Commodore, licensing Amiga technology for OS/2 2.0 and above, in exchange for the REXX scripting language. This means that OS/2 may have some code that was not written by IBM, which can therefore prevent the OS from being re-announced as open-sourced in the future. On the other hand, IBM donated Object REXX for Windows and OS/2 to the Open Object REXX project maintained by the REXX Language Association on SourceForge. There was a petition, arranged by OS2World, to open parts of the OS. Open source operating systems such as Linux have already profited from OS/2 indirectly through IBM's release of the improved JFS file system, which was ported from the OS/2 code base. As IBM didn't release the source of the OS/2 JFS driver, developers ported the Linux driver back to eComStation and added the functionality to boot from a JFS partition. This new JFS driver has been integrated into eComStation v2.0, the successor of OS/2. The graphic system has a layer named Presentation Manager that manages windows, fonts, and icons. This is similar in functionality to a non-networked version of X11 or the Windows GDI. On top of this lies the Workplace Shell (WPS) introduced in OS/2 2.0. WPS is an object-oriented shell allowing the user to perform traditional computing tasks such as accessing files, printers, launching legacy programs, and advanced object oriented tasks using built-in and third-party application objects that extended the shell in an integrated fashion not available on any other mainstream operating system. WPS follows IBM's Common User Access user interface standards. WPS represents objects such as disks, folders, files, program objects, and printers using the System Object Model (SOM), which allows code to be shared among applications, possibly written in different programming languages. A distributed version called DSOM allowed objects on different computers to communicate. DSOM is based on CORBA. The object oriented aspect of SOM is similar to, and a direct competitor to, Microsoft's Component Object Model, though it is implemented in a radically different manner; for instance, one of the most notable differences between SOM and COM is SOM's support for inheritance (one of the most fundamental concepts of OO programming)—COM does not have such support. SOM and DSOM are no longer being developed. The multimedia capabilities of OS/2 are accessible through Media Control Interface commands. The last update (bundled with the IBM version of Netscape Navigator plugins) added support for MPEG files. Support for newer formats like PNG, progressive JPEG, DivX, Ogg, MP3 comes from third parties. Sometimes it is integrated with the multimedia system, but in other offers it comes as standalone applications. The following list of commands is supported by cmd.exe on OS/2. OS/2 also includes a radical advancement in application development with compound document technology called OpenDoc, which was developed with Apple. OpenDoc proved interesting as a technology, but was not widely used or accepted by users or developers. OpenDoc is also no longer being developed. The TCP/IP stack is based on the open source BSD stack as visible with SCCS what compatible tools. Hardware vendors were reluctant to support device drivers for alternative operating systems including OS/2 and Linux, leaving users with few choices from a select few vendors. To relieve this issue for video cards, IBM licensed a reduced version of the Scitech display drivers, allowing users to choose from a wide selection of cards supported through Scitech's modular driver design. Synchronous input queue (SIQ): if a GUI application was not servicing its window messages, the entire GUI system could get stuck and a reboot was required. This problem was considerably reduced with later Warp 3 fixpacks and refined by Warp 4, by taking control over the application after it had not responded for several seconds. No unified object handles (OS/2 v2.11 and earlier): The availability of threads probably led system designers to overlook mechanisms which allow a single thread to wait for different types of asynchronous events at the same time, for example the keyboard and the mouse in a "console" program. Even though select was added later, it only worked on network sockets. In case of a console program, dedicating a separate thread for waiting on each source of events made it difficult to properly release all the input devices before starting other programs in the same "session". As a result, console programs usually polled the keyboard and the mouse alternately, which resulted in wasted CPU and a characteristic "jerky" reactivity to user input. In OS/2 3.0 IBM introduced a new call for this specific problem. OS/2 has been widely used in Iran Export Bank (Bank Saderat Iran) in their teller machines, ATMs and local servers (over 30,000 working stations). As of 2011, the bank moved to virtualize and renew their infrastructure by moving OS/2 to Virtual Machines running over Windows. OS/2 was widely used in Brazilian banks. Banco do Brasil had a peak 10,000 machines running OS/2 Warp in the 1990s. OS/2 was used in automated teller machines until 2006. The workstations and automated teller machines and attendant computers have been migrated to Linux. OS/2 has been used in the banking industry. 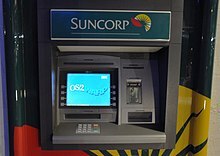 Suncorp bank in Australia still ran its ATM network on OS/2 as late as 2002. ATMs in Perisher Blue used OS/2 as late as 2009, and even the turn of the decade. OS/2 was widely adopted by accounting professionals and auditing companies. In mid-1990s native 32-bit accounting software were well developed and serving corporate markets. OS/2 ran the faulty baggage handling system at Denver International Airport. The OS was eventually scrapped, but the software written for the system led to massive delays in the opening of the new airport. The OS itself was not at fault, but the software written to run on the OS was. The baggage handling system was eventually removed. OS/2 was used by radio personality Howard Stern. He once had a 10-minute on-air rant about OS/2 versus Windows 95 and recommended OS/2. He also used OS/2 on his IBM 760CD laptop. OS/2 was used as part of the Satellite Operations Support System (SOSS) for NPR's Public Radio Satellite System. SOSS was a computer-controlled system using OS/2 that NPR member stations used to receive programming feeds via satellite. SOSS was introduced in 1994 using OS/2 3.0, and was retired in 2007, when NPR switched over to its successor, the ContentDepot. OS/2 was used to control the SkyTrain automated light rail system in Vancouver, British Columbia, Canada until the late 2000s when it was replaced by Windows XP. OS/2 was used in the London Underground Jubilee Line Extension Signals Control System (JLESCS) in London, UK. This control system delivered by Alcatel was in use from 1999 to 2011 i.e. between abandonment before opening of the line's unimplemented original automatic train control system and the present SelTrac system. JLESCS did not provide automatic train operation only manual train supervision. Six OS/2 local site computers were distributed along the railway between Stratford and Westminster, the shunting tower at Stratford depot, and several formed the central equipment located at Neasden. It was once intended to cover the rest of the line between Green Park and Stanmore but this was never introduced. OS/2 has been used by The Co-operative Bank in the UK for its domestic call centre staff, using a bespoke program created to access customer accounts which cannot easily be migrated to Windows. OS/2 has been used by the Stop & Shop supermarket chain (and has been installed in new stores as recently as March 2010). OS/2 has been used on ticket machines for Croydon Tramlink in outer-London (UK). OS/2 has been used in New York City's subway system for MetroCards. OS/2 was used in checkout systems at Safeway supermarkets. OS/2 was used by Trenitalia, both for the desktops at Ticket Counters and for the Automatic Ticket Counters up to 2011. Incidentally, the Automatic Ticket Counters with OS/2 were more reliable than the current ones running a flavor of Windows. BYTE in 1989 listed OS/2 as among the "Excellence" winners of the BYTE Awards, stating that it "is today where the Macintosh was in 1984: It's a development platform in search of developers". The magazine predicted that "When it's complete and bug-free, when it can really use the 80386, and when more desktops sport OS/2-capable PCs, OS/2 will—deservedly—supersede DOS. But even as it stands, OS/2 is a milestone product". InfoWorld Product of the Year. PC Professional Magazine - Innovation of the Year award. CHIP Magazine named OS/2 Warp the Operating System of the Year. DOS International named OS/2 Warp the Operating System of the Year. 1+1 Magazine awarded it with the Software Marketing Quality award. Industrie Forum awarded it with its Design Excellence. SPA Best Business Software Award. IBM has used OS/2 in a wide variety of hardware products, effectively as a form of embedded operating system. IBM 3745 Communications Controller Used as the operating system for the Service Processor (SP) and if installed, the Network Node Processor (NNP). IBM 3890 Document Processor The 3890/XP1 was announced November 12, 1988. It initially used OS/2 1.1 Extended Edition on a PS/2 Model 80 to emulate the stacker control software that previously ran on a System 360. IBM later switched to OS/2 Warp. IBM 473x ATM Used in a range of Automatic Teller Machines manufactured by IBM. Was also used in later 478x ATMs manufactured with Diebold. IBM 9672 Mainframe Used as the operating system for the Support Element (SE). Was also used in later mainframe models such as the IBM 2064 and 2074. ^ Matthew Nawrocki (26 February 2013). "Preview: eComStation 2.2 Beta, the legacy of OS/2 lives on". TechRepublic.com. Retrieved 22 September 2013. ^ Nuska, Andrew (June 21, 2013). "Ed Iacobucci, co-founder of Citrix, dies of cancer". ZD Net. Retrieved 20 May 2017. ^ McCracken, Harry (April 2, 2012). "25 Years of IBM's OS/2: The Strange Days and Surprising Afterlife of a Legendary Operating System". Time Magazine. Retrieved 20 May 2017. ^ Markoff, John (June 28, 1992). "I.B.M. and Microsoft Settle Operating-System Feud". The New York Times. Retrieved 20 May 2017. ^ Michal Necasek (2001-09-08). "OS/2 1.3: Ten Years Ago". The History of OS/2. Archived from the original on 2007-10-12. ^ IBM (12 July 2005). "Changes in support for IBM OS/2 Warp 4 and OS/2 Warp Server for e-business". ibm.com. Archived from the original on 27 April 2006. ^ James Sanders (2015). "OS/2: Blue Lion to be the next distro of the 28-year-old OS". ^ James Sanders (2016). "OS/2 resurrected: Blue Lion becomes ArcaOS, details emerge for upcoming release". ^ Sharwood, Simon (19 May 2017). "What is dead may never die: a new version of OS/2 just arrived". The Register. ^ Michal Necasek (April 2, 1987). "Microsoft Operating System/2 With Windows Presentation Manager Provides Foundation for Next Generation of Personal Computer Industry". The History of OS/2 (Press release). Archived from the original on April 10, 2010. Retrieved March 25, 2013. ^ "DBA Certification Course (Summer 2008) Chapter 1: DB2 Products and Tools" (PDF). Users.informatik.uni-halle.de. Retrieved 2 April 2019. ^ Michal Necasek (2001-07-16). "OS/2 1.0". The History of OS/2. Archived from the original on 2010-08-11. ^ a b David Both (May 2, 2012) [originally published December 19, 1996]. "A Short History of OS/2". DataBook for OS/2 Warp. Retrieved April 9, 2013. ^ H. Gilbert (1995). "HPFS". Das Boot. PC Lube and Tune. Archived from the original on 2006-07-14. ^ Bob Eager (28 October 2000). "Implementation of extended attributes on the FAT file system". Tavi Systems. ^ Iacobucci, Ed; foreword by Bill Gates (1988). "Foreword". OS/2 Programmer's Guide. McGraw-Hill Osborne Media. ISBN 0-07-881300-X. I believe OS/2 is destined to be the most important operating system, and possibly program, of all time. As the successor to DOS, which has over 10,000,000 systems in use, it creates incredible opportunities for everyone involved with PCs. ^ Bellis, Mary. "The Unusual History of Microsoft Windows". ThoughtCo. Dotdash. ^ Thomas Hormby (25 May 2005). "Windows History (1985–1994)". osviews.com. Archived from the original on March 12, 2006. Retrieved April 9, 2013. ^ Michal Necasek (2001-10-29). "OS/2 1.1 and 1.2: The Early Years". The History of OS/2. Archived from the original on 2006-06-13. ^ Paul Thurrott (24 January 2003). "Windows Server 2003: The Road To Gold". winsupersite.com. Archived from the original on 4 June 2010. ^ Gates, Bill; Myhrvold, Nathan; Rinearson, Peter. The Road Ahead. ISBN 0-670-77289-5. ^ Michael Lee Vasu; Debra W. Stewart; G. David Garson (1998-03-03). Organizational behavior and public management. p. 268. ISBN 978-0-8247-0135-2. ^ Gordon Letwin. ""What's happening to OS/2," a Usenet post by Gordon Letwin from August 1995, the point of view of a Microsoft employee". Google Groups. ^ Gates, Bill. "Bill Gates Interview". Computer History Collection (transcript of a Video History interview). Interviewed by David Allison. National Museum of American History, Smithsonian Institution. Retrieved April 10, 2013. ^ Microsoft (2000). Inside Out, Microsoft—In Our Own Words. Warner Business Books. ISBN 0-446-52739-4. ^ Microsoft. "Compatibility of OS/2-based Applications and APIs". Microsoft TechNet. Microsoft. Retrieved April 9, 2013. ^ Robert X. Cringely (27 April 2006). "Killer Apps: For Apple's Windows Strategy to Work, It Must Replace Microsoft Office and Buy Adobe Systems". pbs.org. ^ Microsoft (6 November 1999). "Windows 3.1 Standard Mode and the VCPI". support.microsoft.com. Archived from the original on March 9, 2013. ^ Christian Alice Scarborough (15 September 1998). "Team OS/2 Frequently Asked Questions". ^ "OS/2 Games Setting Archive". Game Zero magazine. 6 March 1995. ^ Timothy F. Sipples (20 February 1995). "OS/2 Warp Frequently Asked Questions List". ^ "Biography for Kate Mulgrew". Internet Movie Database. In 1996, was contracted by IBM to help promote the latest release of OS/2 Warp, version 4 (previously codenamed Merlin), due to associations with Star Trek. ^ "In Search of Stupidity, Excerpts from Chapter 6". Insearchofstupidity.com. Retrieved April 9, 2013. ^ Lewis, Peter H. (8 August 1995). "PERSONAL COMPUTERS; OS/2 No Longer at Home at Home". The New York Times. ^ Wasserman, Elizabeth (June 8, 1999). "MS/DoJ: Microsoft urged IBM to yank Smart Suite". PC World. ^ "C. The Similar Experiences of Other Firms in Dealing with Microsoft". Albion.com. Retrieved 2013-03-20. ^ Fleisch, Brett D; Allan, Mark (September 23, 1997). "Workplace Microkernel and OS: A Case Study". John Wiley & Sons, Ltd. Archived from the original on August 24, 2007. Retrieved March 25, 2013. ^ "OS2 World Community Forum – Index". Os2world.com. Retrieved 2013-03-20. ^ a b IBM. "End of Standard Support". ^ "News :: eComStation 2.0 GA to be Released for Warpstock Europe 2010". eComStation.com. Retrieved 2013-03-20. ^ "News :: eComStation 2.1 GA available". eComStation.com. Retrieved 2013-03-20. ^ "OS/2 Warp: Warranties and Licenses". IBM. Retrieved April 9, 2013. ^ "Migration Station". Archived from the original on May 13, 2010. Retrieved April 9, 2013. ^ "IBM Redbooks | OS/2 Server Transition". Redbooks.ibm.com. 2003-10-06. Archived from the original on 2014-02-01. Retrieved 2013-03-20. ^ "3346/GEN/K (1–32) (Page 1)" (PDF). Retrieved 2013-03-20. ^ The VMware Team. "A Notice to OS/2 Users". Archived from the original on 2006-04-20. ^ Timothy Prickett Morgan. "Breaking News—Parallels Joins the PC and Server Virtualization Fray". itjungle.com. Archived from the original on 2007-04-03. ^ John F. Morar, David M. Chess. "the effect of computer viruses on OS/2 and Warp". research.ibm.com. Archived from the original on 2011-06-04. ^ "OS/2 Power Wiki : ClamAV". January 2011. Retrieved 2012-08-17. ^ "Slashdot: IBM Won't Open-Source OS/2". ^ "OS/2 Warp History". Archived from the original on January 27, 2013. Retrieved April 9, 2013. ^ "Open Object REXX FAQ". Retrieved 2011-07-05. ^ "OS/2 Timeline". OS/2 Museum. Retrieved 2016-12-19. ^ "PC Magazine (archives scanned by Google)" (PDF). PC Magazine. Retrieved 2016-12-19. ^ "OS/2 to Linux Client Transition" (PDF). IBM redbook. 2004. p. 9. Archived from the original (PDF) on 2011-11-24. Retrieved 2011-07-05. ^ "Brazilian banks look to Linux for ATMs". Archived from the original on 2012-07-28. ^ a b McCracken, Harry (April 2, 2012). "25 Years of IBM's OS/2: The Strange Days and Surprising Afterlife of a Legendary Operating System". Time.com. Technologizer. Retrieved April 9, 2013. ^ "The BYTE Awards". BYTE. January 1989. p. 327. ^ "IBM's Developer Support News 1995 Issue 4". POublic.dhe.ibm.com. ^ "InfoWorld". Books.google.com. 25 March 1996. p. 72. ^ IBM TotalStorage 3494 Tape Library: A Practical Guide to Tape Drives and Tape Automation. IBM. 2009. p. 420. ISBN 0-7384-3222-9. ^ "IBM 3746 Software Plan" (PDF). IBM. ^ "IBM Announcement Letter". IBM. Retrieved 30 December 2011. ^ "IBM Announcement Letter". Retrieved 30 December 2011. ^ "Support Element Operations Guide". Archived from the original on 2014-03-05. Retrieved 30 December 2011. ^ "IBM 2074 Model 2 Console Support Controller — Consolidating and Streamlining Console Support Function". Retrieved 19 June 2014. Harvey M. Deitel and Michael S. Kogan (1992). The Design of OS/2. Addison Wesley. ISBN 0-201-54889-5. Letwin, Gordon (1988). Inside OS/2. Microsoft Press. ISBN 1-55615-117-9. Pascal, Zachary (1994). Showstopper! The Breakneck Race to Create Windows NT and the Next Generation at Microsoft. Warner Books. ISBN 0-02-935671-7. Peter Moylan (2004-07-23). "Some fundamental OS/2 concepts". Michal Necasek (2005-12-03). "OS/2 Warp, PowerPC Edition". The History of OS/2. Archived from the original on August 12, 2010. Retrieved April 10, 2013. —Necasek discusses an aborted port to PowerPC machines. Reimer, Jeremy. "Half an operating system: The triumph and tragedy of OS/2". Retrieved 12 December 2013. This page was last edited on 14 April 2019, at 13:00 (UTC).